The costs associated with PAD are comparable to, if not higher than, those associated with cardiac dysrhythmias, congestive heart failure, and cerebrovascular disease, averaging $3.9 billion annually for total Medicare-paid PAD-related care.11 The economic burden associated with vascular-related hospitalizations and interventions increases with the number of affected arterial beds, and is particularly high for patients with PAD, panvascular disease, or both.12,13 This finding highlights the need for low-cost alternative treatments and preventive strategies to lessen the economic burden for patients with PAD and the general public. The aim of the treatment of PAD is twofold: management of risk factors for cardiovascular disease, as this is the main cause of morbidity and mortality, and improvement of symptoms including claudica­tion.14,15 Claudication pain in the calves, thighs, buttocks, or all of these occurs during ambulation when the peripheral circulation is inadequate to meet the metabolic requirement of the active leg musculature. Consequently, claudication leads to ambulatory dysfunction, a sedentary lifestyle, poor quality of life, and increased risk of comorbid burden and mortality. In patients with no other evidence of cardiovascular disease, having PAD is considered the equivalent of having coronary artery disease and, as such, aggressive risk factor modification should address smoking, dyslipidemia, hypertension, diabetes, and anti­platelet therapy. Although the primary functional outcome measures of COT and PWT increase in those who participate in a supervised exercise program,32 the mechanisms by which exercise training improves functional capacity are yet to be explained. The proposition that exercise benefits patients through the formation of collateral vessels that supply blood flow to the lower extremity33 is challenged by data suggesting that supervised exercise training in patients with PAD is actually associated with reductions in angiogenic vascular endothelial growth factors (VEGFs) and increases in antiangiogenic VEGFs34 due to an acquired metabolic defect that results from the underlying disease. mediated changes in COT and PWT, other benefits of exercise in patients with PAD include improvement in HDL (high-density lipoprotein) cholesterol indices, exercise capacity, autonomic function, blood rheology, and insulin resistance/glucose intolerance, as well as reduction in triglycerides, obesity indices, blood pressure, inflammation, depression, and psychosocial stress.37 Thus, exercise confers systemic benefits in addition to symptomatic improvements in patients with PAD, thereby lowering the risk of adverse cardiovascular events in other vascular beds. Several exercise training protocols have been studied in patients with PAD. The programs differ with regard to type of exercise (i.e., mode), intensity, duration of the program and sessions, work-rest rate, progression, and supervision. These differences may account for the wide range of responses to exercise programs. Most of the programs use various walking routines, while others do not; this will be discussed in more detail at the end of this section. The ACC/AHA guidelines suggest supervised treadmill or track walking, a minimum of 30 to 45 minutes per session, at least three times a week for a minimum of 12 weeks,14 but the components of the ideal exercise program are still undefined. Claudication pain endpoint and exercise intensity. It has been suggested that patients exercise until near maximal pain, based on findings that programs involving exercise below the pain threshold were not as effective for improving walking ability.14,38,39 Exercise training at low intensity (40% of the maximal workload) did not differ significantly from exercise training at high intensity (80% of maximal workload), suggesting that a lower intensity is as effective as a higher intensity.40 Therefore, exercising at a lower intensity may be preferable because of reduced cardiovascular risks associated with exercise. Session duration. Exercise programs with sessions lasting more than 30 minutes were more likely to improve walking performance than those involving shorter sessions, but, in a systematic review, duration of the sessions was not an independent predictor of improvement.39 Duration of the session is not a good descriptive measure, as the recovery time is often included as part of the total session time. Thus, it is important to report the actual time spent exercising as the specified duration of each exercise session. Work-rest ratio. Prolonged rest intervals between exercise bouts did not show an advantage over short recovery times. Therefore, shorter recovery times are preferred42 and will reduce the amount of time required to supervise each exercise session. The main concern regarding home-based unsupervised exercise programs is the difficulty in quantifying the volume of exercise performed due to the unreliable nature of patient recall. A study by Gardner et al showed that using activity monitors and a structured home program with feedback sessions can be as effective as an on-site supervised program in improving maximal walking distance and pain-free walking distance.44 The main advantages of home-based exercise are that patients have freedom in scheduling the exercise sessions and that access to an exercise center is not a limiting factor. Feedback can be done by telephone, expanding the benefits of the exercise training to patients who have limited access to exercise centers. PAD is often asymptomatic and caused by atherosclerotic disease, and can lead to severe disability. PAD is highly prevalent, and is a marker for panvascular disease. It is associated with a high risk of mortality and high costs that are equal to or greater than those of other cardiovascular diseases. Management of PAD is centered on risk factor modification and treatment of symptoms. Management of risk factors primarily include smoking cessation and pharmacological treatment of dyslipidemia, hypertension, and diabetes. 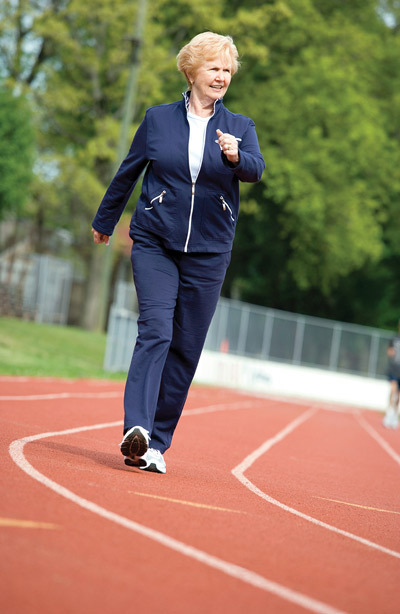 Treatment of symptoms includes exercise therapy for patients who are candidates for exercise, pharmacological therapy, and revascularization for lifestyle-limiting claudication that has not responded to other treatments. effective approach that can significantly improve functional outcomes. Medically supervised exercise programs have received considerable attention for improving ambulatory function, but we have recently found that a home-based program quantified with a step activity monitor elicits similar improvements. Thus, home-based supervised programs may be an attractive alternative model. More work is needed to confirm the efficacy of home-based exercise for treating claudication and to determine whether other modalities of exercise, such as resistance training and upper extremity exercise, have similar efficacies compared with the traditional approach using an ambulatory exercise program. Ana I. Casanegra, MD, is assistant professor of medicine, Omar L. Esponda, MD, is a fellow in training in the vascular medicine program, and Andrew W. Gardner, PhD, is an exercise physiologist at the University of Oklahoma Health Sciences Center in Oklahoma City. 1. Hirsch AT, Criqui MH, Treat-Jacobson D, et al. Peripheral arterial disease detection, awareness, and treatment in primary care. JAMA 2001;286(11):1317-1324. 2. Hirsch AT, Haskal ZJ, Hertzer NR, et al. ACC/AHA 2005 Guidelines for the Management of Patients With Peripheral Arterial Disease (Lower Extremity, Renal, Mesenteric, and Abdominal Aortic): Executive Summary A Collaborative Report From the American Association for Vascular Surgery/Society for Vascular Surgery, Society for Cardiovascular Angiography and Interventions, Society for Vascular Medicine and Biology, Society of Interventional Radiology, and the ACC/AHA Task Force on Practice Guidelines (Writing Committee to Develop Guidelines for the Management of Patients With Peripheral Arterial Disease): Endorsed by the American Association of Cardiovascular and Pulmonary Rehabilitation; National Heart, Lung, and Blood Institute; Society for Vascular Nursing; TransAtlantic Inter-Society Consensus; and Vascular Disease Foundation. J Am Coll Cardiol 2006;47(6):1239-1312. 3. Dieter RS, Chu WW, Pacanowski JP Jr, et al. The significance of lower extremity peripheral arterial disease. Clin Cardiol 2002;25(1):3-10. 4. Murabito JM, D’Agostino RB, Silbershatz H, Wilson WF. Intermittent claudication. A risk profile from The Framingham Heart Study. Circulation 1997;96(1):44-49. 5. Selvin E, Erlinger TP. Prevalence of and risk factors for peripheral arterial disease in the United States: results from the National Health and Nutrition Examination Survey, 1999-2000. Circulation 2004;110(6):738-743. 6. Ostchega Y, Paulose-Ram R, Dillon CF, et al. Prevalence of peripheral arterial disease and risk factors in persons aged 60 and older: data from the National Health and Nutrition Examination Survey 1999-2004. J Am Geriatr Soc 2007;55(4):583-589. 7. McDermott MM, Liu K, Criqui MH, et al. Ankle-brachial index and subclinical cardiac and carotid disease: the multi-ethnic study of atherosclerosis. Am J Epidemiol 2005;162(1):33-41. 8. Morrissey NJ, Giacovelli J, Egorova N, et al. Disparities in the treatment and outcomes of vascular disease in Hispanic patients. J Vasc Surg 2007;46(5):971-978. 9. Meadows TA, Bhatt DL, Hirsch AT, et al. Ethnic differences in the prevalence and treatment of cardiovascular risk factors in US outpatients with peripheral arterial disease: insights from the reduction of atherothrombosis for continued health (REACH) registry. Am Heart J 2009;158(6):1038-1045. 10. Criqui MH, Langer RD, Fronek A, et al. Mortality over a period of 10 years in patients with peripheral arterial disease. New Engl J Med 1992;326(6):381-386. 11. Hirsch AT, Hartman L, Town RJ, Virnig BA. National health care costs of peripheral arterial disease in the Medicare population. Vasc Med 2008;13(3):209-215. 12. Smolderen KG, Bell A, Lei Y, et al. One-year costs associated with cardiovascular disease in Canada: Insights from the REduction of Atherothrombosis for Continued Health (REACH) registry. Canadian J Cardiol 2010;26(8):297-305. 13. Mahoney EM, Wang K, Cohen DJ, et al. One-year costs in patients with a history of or at risk for atherothrombosis in the United States. Circ Cardiovasc Qual Outcomes 2008;1(1):38-45. 14. Hirsch AT, Haskal ZJ, Hertzer NR, et al. ACC/AHA 2005 Practice Guidelines for the management of patients with peripheral arterial disease (lower extremity, renal, mesenteric, and abdominal aortic): a collaborative report from the American Association for Vascular Surgery/Society for Vascular Surgery, Society for Cardiovascular Angiography and Interventions, Society for Vascular Medicine and Biology, Society of Interventional Radiology, and the ACC/AHA Task Force on Practice Guidelines (Writing Committee to Develop Guidelines for the Management of Patients With Peripheral Arterial Disease): endorsed by the American Association of Cardiovascular and Pulmonary Rehabilitation; National Heart, Lung, and Blood Institute; Society for Vascular Nursing; TransAtlantic Inter-Society Consensus; and Vascular Disease Foundation. Circulation 2006;113(11):e463-654. 15. Olin JW, Allie DE, Belkin M, et al. ACCF/AHA/ACR/SCAI/SIR/SVM/SVN/SVS 2010 performance measures for adults with peripheral artery disease. A Report of the American College of Cardiology Foundation/American Heart Association Task Force on Performance Measures, the American College of Radiology, the Society for Cardiac Angiography and Interventions, the Society for Interventional Radiology, the Society for Vascular Medicine, the Society for Vascular Nursing, and the Society for Vascular Surgery (Writing Committee to Develop Clinical Performance Measures for Peripheral Artery Disease). Vasc Med 2010;15:481-512. 16. Yusuf S, Sleight P, Pogue J, et al. Effects of an angiotensin-converting-enzyme inhibitor, ramipril, on cardiovascular events in high-risk patients. The Heart Outcomes Prevention Evaluation Study Investigators. New Engl J Med 2000;342(3):145-153. 17. Inzucchi SE, Bergenstal RM, Buse JB, et al. Management of hyperglycemia in type 2 diabetes: a patient-centered approach: position statement of the American Diabetes Association (ADA) and the European Association for the Study of Diabetes (EASD). Diabetes Care 2012;35(6):1364-1379. 18. Hinchliffe RJ, Andros G, Apelqvist J, et al. A systematic review of the effectiveness of revascularization of the ulcerated foot in patients with diabetes and peripheral arterial disease. Diabetes Metab Res Rev 2012;28 Suppl 1:179-217. 19. Murphy TP, Cutlip DE, Regensteiner JG, et al. Supervised exercise versus primary stenting for claudication resulting from aortoiliac peripheral artery disease: six-month outcomes from the claudication: exercise versus endoluminal revascularization (CLEVER) study. Circulation 2012;125(1):130-139. 20. Thompson PD, Zimet R, Forbes WP, Zhang P. Meta-analysis of results from eight randomized, placebo-controlled trials on the effect of cilostazol on patients with intermittent claudication. Am J Cardiol 2002;90(12):1314-1319. 21. Slovut DP, Lipsitz EC. Surgical technique and peripheral artery disease. Circulation 2012;126(9):1127-1138. 22. Robless P, Mikhailidis DP, Stansby GP. Cilostazol for peripheral arterial disease. Cochrane Database Syst Rev 2008(1):CD003748. 23. Treesak C, Kasemsup V, Treat-Jacobson D, et al. Cost-effectiveness of exercise training to improve claudication symptoms in patients with peripheral arterial disease. Vasc Med 2004;9(4):279-285. 24. Norgren L, Hiatt WR, Dormandy JA, et al. Inter-Society Consensus for the Management of Peripheral Arterial Disease (TASC II). J Vasc Surg 2007;45 Suppl S:S5-67. 25. Gardner AW, Afaq A. Management of lower extremity peripheral arterial disease. J Cardiopul Rehabil Prev 2008;28(6):349-357. 26. Noonan V, Dean E. Submaximal exercise testing: clinical application and interpretation. Phys Ther 2000;80(8):782-807. 27. Gardner AW, Ritti-Dias RM, Stoner JA, et al. Walking economy before and after the onset of claudication pain in patients with peripheral arterial disease. J Vasc Surg 2010;51(3):628-633. 28. Gohil RA, Mockford KA, Mazari F, et al. Balance impairment, physical ability, and its link with disease severity in patients with intermittent claudication. Ann Vasc Surg 2013;27(1):68-74. 29. Câmara LC, Ritti-Dias RM, Menêses AL, et al. Isokinetic strength and endurance in proximal and distal muscles in patients with peripheral artery disease. Ann Vasc Surg 2012;26(8):1114-1119. 30. Cousin A, Popielarz S, Wieczorek V, et al. Impact of a rehabilitation program on muscular strength and endurance in peripheral arterial occlusive disease patients. Ann Phys Rehabil Med 2011;54(7):429-442. 31. Wang J, Zhou S, Bronks R, et al. Effects of supervised treadmill-walking training on strength and endurance of the calf muscles of individuals with peripheral arterial disease. Clin J Sport Med 2006;16(5):397-400. 32. Gardner AW, Montgomery PS, Parker DE. Optimal exercise program length for patients with claudication. J Vasc Surg 2012;55(5):1346-1354. 33. Alpert JS, Larsen OA, Lassen NA. Exercise and intermittent claudication. Blood flow in the calf muscle during walking studied by the xenon-133 clearance method. Circulation 1969;39(3):353-359. 34. Jones WS, Duscha BD, Robbins JL, et al. Alteration in angiogenic and anti-angiogenic forms of vascular endothelial growth factor-A in skeletal muscle of patients with intermittent claudication following exercise training. Vasc Med 2012;17(2):94-100. 35. Beckitt TA, Day J, Morgan M, Lamont PM. Skeletal muscle adaptation in response to supervised exercise training for intermittent claudication. Eur J Vasc Endovasc Surg 2012;44(3):313-317. 36. Hamburg NM, Balady GJ. Exercise rehabilitation in peripheral artery disease: functional impact and mechanisms of benefits. Circulation 2011;123(1):87-97. 37. Milani RV, Lavie CJ. The role of exercise training in peripheral arterial disease. Vasc Med 2007;12:351-358. 38. Gardner AW, Poehlman ET. Exercise rehabilitation programs for the treatment of claudication pain. A meta-analysis. JAMA 1995;274(12):975-80. 39. Bulmer AC, Coombes JS. Optimising exercise training in peripheral arterial disease. Sports Med 2004;34(14):983-1003. 40. Gardner AW, Montgomery PS, Flinn WR, Katzel LI. The effect of exercise intensity on the response to exercise rehabilitation in patients with intermittent claudication. J Vasc Surg 2005;42(4):702-709. 41. Menard JR, Smith HE, Riebe D, et al. 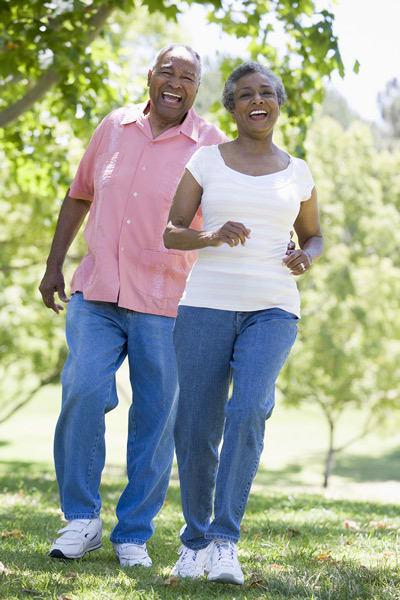 Long-term results of peripheral arterial disease rehabilitation. J Vasc Surg 2004;39(6):1186-1192. 42. Capecchi PL, Pasini FL, Cati G, et al. Experimental model of short-time exercise-induced preconditioning in POAD patients. Angiology 1997;48(6):469-480. 43. Wind J, Koelemay MJ. Exercise therapy and the additional effect of supervision on exercise therapy in patients with intermittent claudication. Systematic review of randomised controlled trials. Eur J Vasc Endovasc Surg 2007;34(1):1-9. 44. Gardner AW, Parker DE, Montgomery PS, et al. Efficacy of quantified home-based exercise and supervised exercise in patients with intermittent claudication: a randomized controlled trial. Circulation 2011;123(5):491-498. 45. Jaff MR, Dale RA, Creager MA, et al. Anti-chlamydial antibiotic therapy for symptom improvement in peripheral artery disease: prospective evaluation of rifalazil effect on vascular symptoms of intermittent claudication and other endpoints in Chlamydia pneumoniae seropositive patients (PROVIDENCE-1). Circulation 2009;119(3):452-458. 46. Collins EG, O’Connell S, McBurney C, et al. Comparison of walking with poles and traditional walking for peripheral arterial disease rehabilitation. J Cardiopulm Rehabil Prev 2012;32(4):210-218. 47. Parmenter BJ, Raymond J, Dinnen P, Singh MA. A systematic review of randomized controlled trials: Walking versus alternative exercise prescription as treatment for intermittent claudication. Atherosclerosis 2011;218(1):1-12. 48. Hiatt WR, Wolfel EE, Meier RH, Regensteiner JG. Superiority of treadmill walking exercise versus strength training for patients with peripheral arterial disease. Implications for the mechanism of the training response. Circulation 1994;90(4):1866-1874. 49. McDermott MM, Ades P, Guralnik JM, et al. Treadmill exercise and resistance training in patients with peripheral arterial disease with and without intermittent claudication: a randomized controlled trial. JAMA 2009;301(2):165-174. 50. Jones PP, Skinner JS, Smith LK, et al. Functional improvements following StairMaster vs. treadmill exercise training for patients with intermittent claudication. J Cardiopulm Rehabil 1996;16(1):47-55. 51. Walker RD, Nawaz S, Wilkinson CH, et al. Influence of upper- and lower-limb exercise training on cardiovascular function and walking distances in patients with intermittent claudication. J Vasc Surg 2000;31(4):662-669. 52. Sanderson B, Askew C, Stewart I, et al. Short-term effects of cycle and treadmill training on exercise tolerance in peripheral arterial disease. J Vasc Surg 2006;44(1):119-127. 53. Wang E, Hoff J, Loe H, et al. Plantar flexion: an effective training for peripheral arterial disease. Eur J Appl Physiol 2008;104(4):749-756. 54. Zwierska I, Walker RD, Choksy SA, et al. Upper- vs lower-limb aerobic exercise rehabilitation in patients with symptomatic peripheral arterial disease: a randomized controlled trial. J Vasc Surg 2005;42(6):1122-1130. 55. Treat-Jacobson D, Bronas UG, Leon AS. Efficacy of arm-ergometry versus treadmill exercise training to improve walking distance in patients with claudication. Vasc Med 2009;14(3):203-213. 56. Bronas UG, Treat-Jacobson D, Leon AS. Comparison of the effect of upper body-ergometry aerobic training vs treadmill training on central cardiorespiratory improvement and walking distance in patients with claudication. J Vasc Surg 2011;53(6):1557-1564.